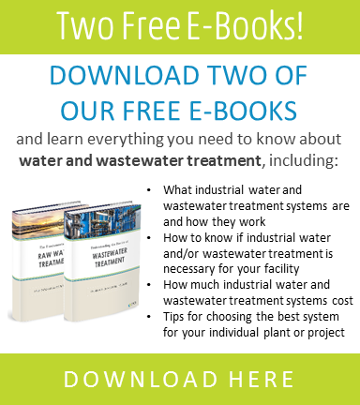 Not every industrial facility that produces wastewater will require zero liquid discharge (ZLD). It is usually looked to as a last resort because it can be a complex process that requires a high initial investment. If a facility is located on a site that has severe water scarcity issues and/or astronomical discharge fees, it might be worthwhile to pursue, but in the instances it’s not mandated (some local and/or federal regulations might require ZLD), careful consideration must be made as to whether or not it will benefit your facility. What is a zero liquid discharge treatment system? A ZLD treatment system utilizes advanced technological water treatment processes to limit liquid waste at the end of your industrial process to, as the name suggests, zero. A ZLD treatment system will also help your facility meet stringent effluent requirements, such as the U.S. Environmental Protection Agency’s Steam Electric Power Generating Effluent Guidelines. Just keep in mind your facility’s requirements will vary based on whether you are discharging into a publicly owned treatment works (POTW) or to the environment under a National Pollutant Discharge Elimination System (NPDES permit). What’s included in a basic ZLD treatment system? evaporator for vaporizing access water in the final phases of waste concentration before crystallizer. Depending on the needs of your plant and process, these standard components are usually adequate, however, if your plant requires a system that provides a bit more customization, there might be some features or technologies you will need to add on. Because of the broad range of industries that use ZLD and the various waste streams produced, ZLD is a highly custom process and these add ons will depend on your facility’s individual needs. How does a ZLD treatment system work? Pretreatment is used to remove simple things from the wastewater stream that can be filtered or precipitated out, conditioning the water and reducing the suspended solids and materials that would otherwise scale and/or foul following treatment steps. Typically this treatment block consists of some type of clarifier and/or a reactor to precipitate out metals, hardness, and silica. Sometimes this step requires the addition of caustic soda or lime to help with coagulation, a process where various chemicals are added to a reaction tank to remove the bulk suspended solids and other various contaminants. This process starts off with an assortment of mixing reactors, typically one or two reactors that add specific chemicals to take out all the finer particles in the water by combining them into heavier particles that settle out. The most widely used coagulates are aluminum-based such as alum and polyaluminum chloride. Sometimes a slight pH adjustment will help coagulate the particles, as well. When coagulation is complete, the water enters a flocculation chamber where the coagulated particles are slowly stirred together with long-chain polymers (charged molecules that grab all the colloidal and coagulated particles and pull them together), creating visible, settleable particles that resemble snowflakes. The gravity settler (or sedimentation part of the ZLD treatment process) is typically a large circular device where flocculated material and water flow into the chamber and circulate from the center out. In a very slow settling process, the water rises to the top and overflows at the perimeter of the clarifier, allowing the solids to settle down to the bottom of the clarifier into a sludge blanket. The solids are then raked to the center of the clarifier into a cylindrical tube where a slow mixing takes place and the sludge is pumped out of the bottom into a sludge-handling or dewatering operation. The settlers can also be designed using a plate pack for smaller footprint. Depending on the material in the feed, additional reactors or chemistry may be required for the reduction of metals or silica. Careful consideration must be given to the pretreatment step for a successful ZLD system. Ultrafiltration (UF) can also be used after the clarifiers instead of the gravity sand filter, or it can replace entire clarification process altogether. Membranes have become the newest technology for treatment, pumping water directly from the wastewater source through the UF (post-chlorination) and eliminating the entire clarifier/filtration train. Out of this process comes a liquid that is then filter-pressed into a solid, resulting in a solution much lower in suspended solids and without the ability to scale up concentration treatment. Concentrating in the earlier stages of ZLD is usually done with membranes like reverse osmosis (RO), brine concentrators, or electrodialysis. The RO train will capture the majority of dissolved solids that flow through the process, but as mentioned in a prior article about common problems with ZLD, it’s important to flow only pretreated water through the RO system, as allowing untreated water to go through the semipermeable membranes will foul them quickly. Brine concentrators, on the other hand, are also used to remove dissolved solid waste but they are usually able to handle brine with a much higher salt content than RO. They are pretty efficient for turning out a reduced-volume waste. Electrodialysis can also be used at this part of the ZLD treatment system. It’s a membrane process that uses positively or negatively charged ions to allow charged particles to flow through a semipermeable membrane and can be used in stages to concentrate the brine. It is often used in conjunction with RO to yield extremely high recovery rates. Combined, these technologies take this stream and concentrate it down to a high salinity while pulling out up to 60–80% of the water. After the concentration step is complete, the next step is generating a solid, which is done through thermal processes or evaporation, where you evaporate all the water off, collect it, and reuse it. Adding acid at this point will help to neutralize the solution so, when heating it, you can avoid scaling and harming the heat exchangers. Deaeration is often used at this phase to release dissolved oxygen, carbon dioxide, and other noncondensible gases. The leftover waste then goes from an evaporator to a crystallizer, which continues to boil off all the water until all the impurities in the water crystallize and are filtered out as a solid. If the treated water is being reused in an industrial process, it’s typically pumped into a holding tank where it can be used based on the demands of the facility. The ZLD treatment system should have purified the water enough to be reused safely in your process. 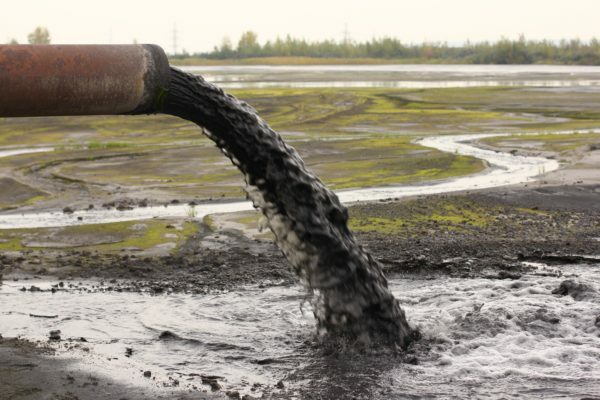 The solid waste, at this point, will enter a dewatering process that takes all the water out of the sludge with filter or belt presses, yielding a solid cake. The sludge is put onto the press and runs between two belts that squeeze the water out, and the sludge is then put into a big hopper that goes to either a landfill or a place that reuses it. The water from this process is also typically reused. SAMCO has over 40 years’ experience custom-designing and manufacturing wastewater treatment systems, so please feel free to reach out to us with your questions. For more information or to get in touch, contact us here. You can also visit our website to set up a call with an engineer or request a quote. We can walk you through the steps for developing the proper solution and realistic cost for your ZLD wastewater treatment system needs.